Delivering breathtaking interiors that inspire you! At keekï, our philosophy of how we approach our clients’ interior decorating solutions is simple – it’s all about you! We provide a professional and personalised service with a range of options to suit both your style and your budget. 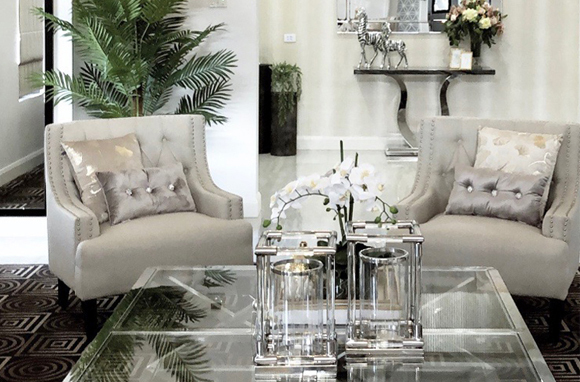 With over ten years experience in transforming houses to reflect the home you’ve always dreamed of, our interior decorating service has been developed to bring to life your vision so you are left with a home that truly reflects your style. Achieve the look you’ve always dreamed of with the help of our professional and experienced interior decorating consultants. No matter your budget or style, our hands on decorators can transform your room or house and realise your vision. All you need to do is sit back and relax while we create your dream home. Better yet, go out for the day and return to your newly decorated home! # Redeemable on spending $500.00 or more^ Must be purchased with In store consultation* Melbourne metro area only. Non-refundable fee to be paid 24 hours prior to consultation.Terms and Conditions apply.